2017 didn't feel very productive as I was living it but as I look back I realize it was in many ways much more productive than I can easily reflect on. 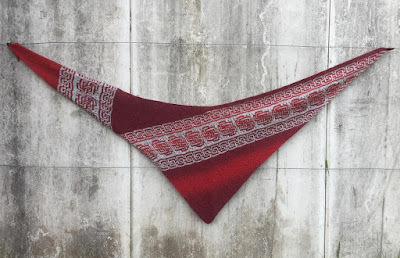 I used my blog as a source of information and have to remind myself that I don't blog about everything I knit. I suffer from what author Brene Brown calls "productivity as self worth" so I'm always questioning myself. The photo above has more details on my project page. 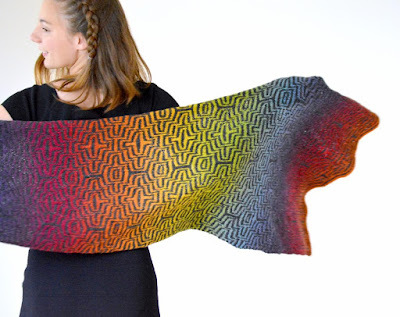 There was also a lot of swatching, frogging, and re-knitting. I have several projects on the go right now. Some will become patterns but most are stash busters. There's also one new pattern still at tech editing. Here's a teaser. You can find Amanda here and here on Ravelry. I get knitting inspiration from a variety of sources. Sometimes it is a nice yarn or color way that gets me thinking. Other times it is shapes and forms I see around me. Sometimes one design just flows into the next with some variation or another. It isn't always easy though, there are times when it is difficult to become inspired, and the design process is long, frustrating and drawn out. I have probably frogged just as much as I have actually knitted! 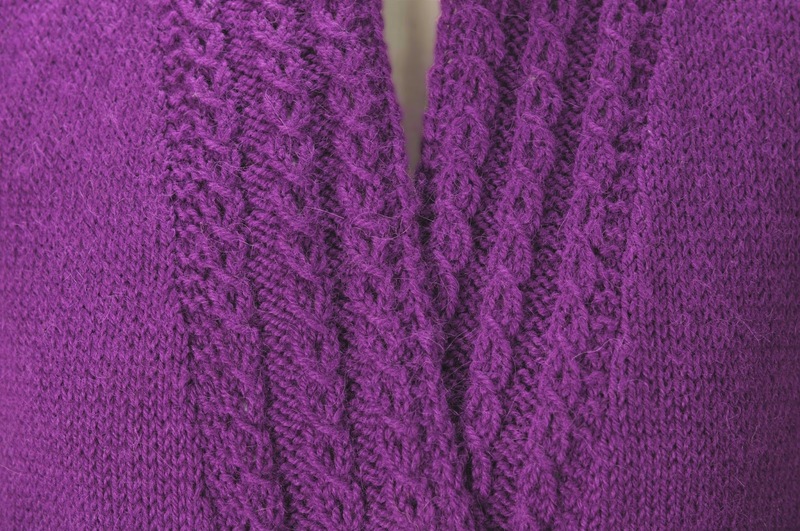 This may sound very strange to some, but I really enjoy playing around with short rows. 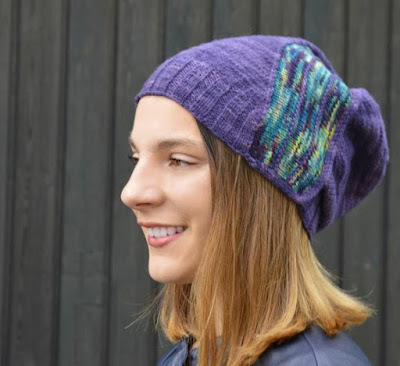 Why are short rows so great? I enjoy exploring form and shape. 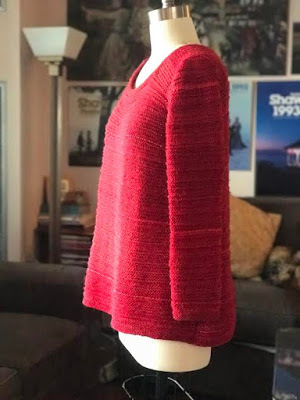 Short rows are the tool to work form and shape on a vertical plane of knitted fabric, just as increases and decreases allow for form and shape on a horizontal plane. 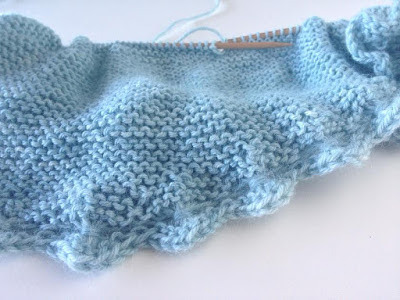 I use short rows in various ways to make things even more interesting. Actually, a few years ago, I was someone who absolutely hated short rows. I didn't like how they made my knitting look messy. Then I discovered the shadow wrap method. It is my absolute favorite. I have published a photo tutorial on the shadow wrap method on my blog to help those who may be still afraid of the process. I have a long list of returning testers, whom I can trust. I also welcome new testers, should they be interested. I know that I would not be able to do what I do, without great testers. I hope that if I do become successful, I would be able to offer some sort of compensation to my testers for their hard work and dedication, even if it is only the yarn for their tests. When designing something new, I do work a sample in my own size. I can use the model to take photos of my work and to ensure that my pattern is well written. I usually write a pattern and knit it simultaneously. With a garment I need multiple testers to confirm that the fit is good for each size in the pattern. It would be impossible for me to do this all on my own. No, the business grew organically and started with just one simple pattern in 2012. I didn't know I would come this far, and have no idea where my knitting is taking me. I just know I enjoy the process and want to keep working hard at creating innovative designs and writing great patterns. I wouldn't say I have a mentor, but I do admire Joji. She is an independent designer who has made her own name through Ravelry. I respect that and believe that she has put in a lot of hard work to get to where she is now. Not particularly. My business model is to write good patterns and create interesting designs. It is a passion for me first, business is secondary. My testers are my tech editors. I am bilingual and write most of my patterns in both English and German. I have my German versions edited to ensure they are grammatically correct. This is, at times, difficult for me. I am a mom of 3 kids, so most of my work time is when they are at school. I struggle with not having enough time to dedicate to the business. However, I also wonder if I spend too much time on it, because the reward (pay) is so small. Also, I tend to be a fall/winter knitter and designer. I do know that I should be working harder in the spring and summer to become more successful. Balancing knitting in the summer with other activities (sailing) is a challenge. I love criticism, so long as it is well intended and polite. 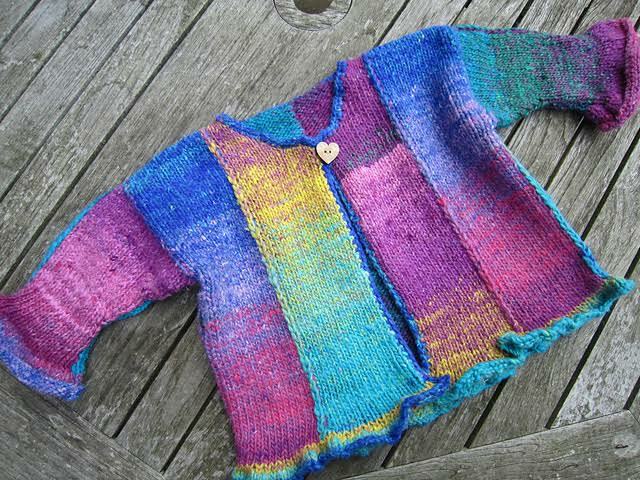 I find it very helpful to get feedback from testers and knitters. I like to hear what they think of my designs. I realize that I am only human, and do make mistakes. It is great to have people who actually tell you what they think, so that I am able to grow in the process! I am not (yet?) able to support myself. I would be making more money working part time in a fast food restaurant than I would knitting, and the hours would be much better! Recently I have decided I needed to make a concerted effort to become a more successful designer. The kids are old enough for me to go back to a "real job". Making knitwear design my career would be a dream come true! I am hoping that through dedication and hard work in the coming months, I will be able to come closer to achieving my goal of being able to support myself, but I also know it will take time. Be patient and don't give up! Don't expect anything to go viral over night. This happens only for the very lucky few. I have been hoping for this to happen for years, it hasn't. Growth is gradual and building a following over time is essential for a successful career. At the moment, I plan to continue to concentrate on designing great patterns. I have also been in contact with some local independent yarn dyers and will be working together with them. 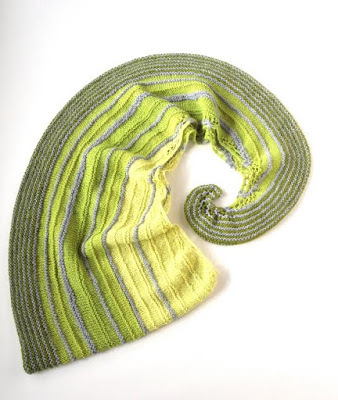 I'm also excited to be exploring the "real" knitting world as opposed to the online "virtual" world. I have been meeting new people and making new friends. I hope to build my circle of real-world knitting friends even further. 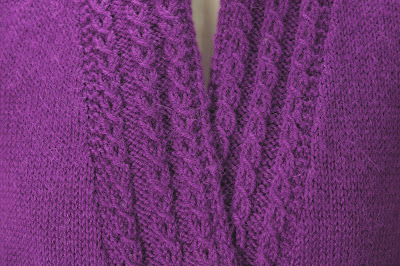 You can find Christiane here and here on Ravelry. There is not one particular source I find inspiration from for my designs. Nature, people, shapes, colors, architecture, yarn and fashion all offers a lot to get creativity going. That is the beautiful part about designing. One of my newer designs Ayona for example was inspired by the geometrical diamond shape. There are so many interesting techniques out there that it is hard to choose one favorite. I like to play with modular knitting as well as finding and exploring less known or new ways to achieve the construction I have in mind. Looking at other designers work is like jumping into a big pool of creativity. There is always something to learn, to admire or just to make sure that the design I am thinking about doesn’t already exist. I especially love designers who found their own style or design voice instead of doing more of the same. For now I knit the first sample myself, since it gives me the freedom to change things around as I go in case I want to add another detail or alter. I work with 4 to 10 test knitters. I usually use some of my regular more experienced ones. 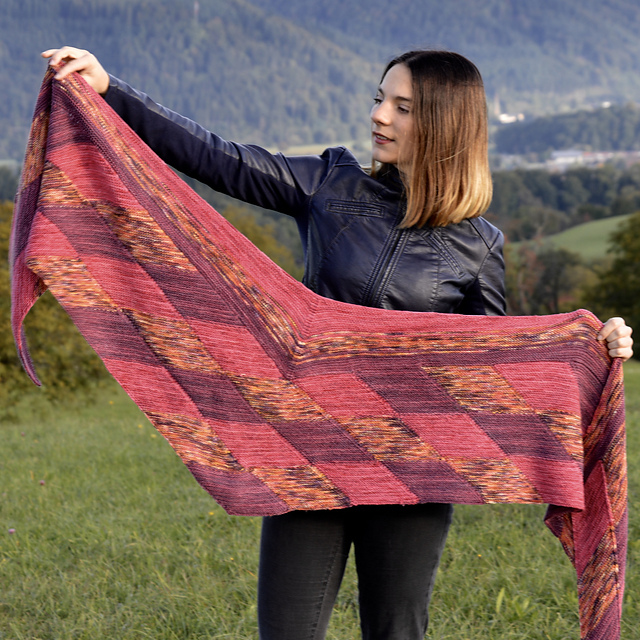 In addition, I am also working with some less experienced knitters or testers, since their questions help to find out how user-friendly the patterns are. Let me take this question as an opportunity to thank all the people who test knit. 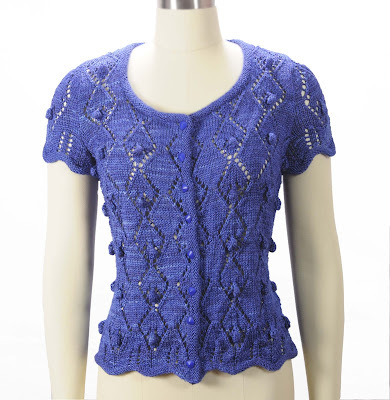 It is very valuable for me as a designer and also for fellow knitters to get an easy to use pattern. After moving from the US to Europe this is next on my agenda. It is always important to think about where you want to go and what you would like to achieve - especially if you plan to make designing your profession. Unfortunately not. 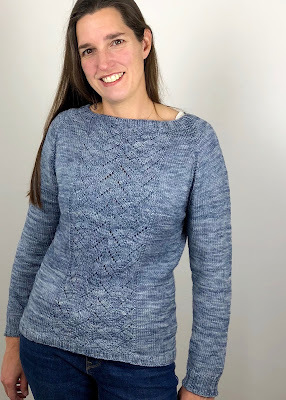 I am a learning-by-doing kind of person although I have a great network of knitters and designers who would give input or advice when needed. Not yet. I just recently have started to look for someone who fits my needs and would like to collaborate with me. Keeping a life/work balance is not easy. I have a family and another job. It needs a lot of discipline to balance this. Constructive criticism helps to improve my skills and pattern writing and therefore I am thankful for it. Through the years I have also learned to handle destructive criticism and it doesn’t affect me that much anymore. Through knitting platforms like Ravelry it became much easier for knitters to make designing their profession. As for any other profession it is important to learn more about what it needs to become a designer. Unfortunately, I met some beautiful knitters who thought as a designer they could now earn money with their hobby, and knit all day long. They later learned that there is much more involved, the hard way. 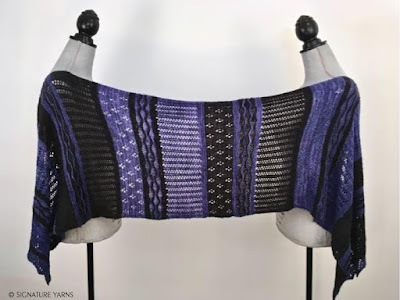 Through the increasing possibilities for knitters to pursue this career also the number of designers increased tremendously during the last few years. Therefore, one of the things I would emphasize is to work towards developing your own style or distinct voice as a designer to avoid doing more of the same and getting lost in the crowd. With moving to Germany, I have to reinvent myself again since the industry is different than in the US. It’s a new challenge I fully embrace. It is important for me not to get stuck in old ways….. One of the things which are on my heart in this process can be summarized with two words “Slow Fashion”. Here's an update on my hand knit reorganization from last March. Take a look at the photos below. 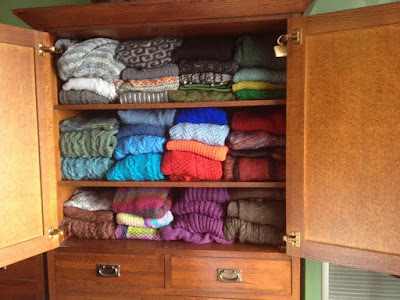 I'm proud to say the shelves and drawers of my armoire (which store the sweaters) still look as beautifully well organized and tidy as they did when I sorted everything out. I always get a little jolt of happiness when I go to the armoire to get a sweater out to wear. I'm also wearing a wider range of things as I can finally see everything at one time. Separating winter garments onto the shelves and summer garments into two of the larger drawers means at this time of year I really only look in one place to choose something to wear. 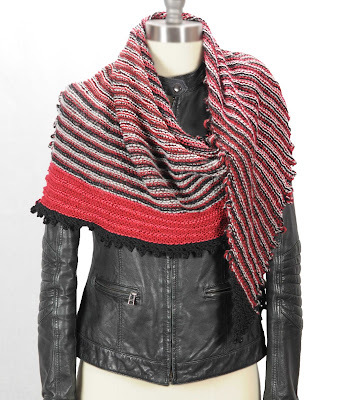 Unfortunately, the shawl and accessory sort hasn't been so successful. They are all in one place (good) but I'm using a linen closet in a dark corner (bad) and the shelves are too deep to keep the stacks tidy (bad). 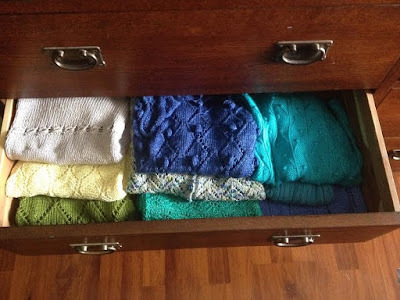 I tend to knit those items from very soft and slithery yarns (bad) which makes it even harder to keep the piles neat. I've got everything there sorted by colour which is hard to see because it's dark. Add to that a much wider range of sizing and I think I have two fixable issues. The first is I'm going to add a battery operated light so I can see better. I'm also going to start looking for some shelf organizers. I'll probably wait until the January household sales to start my search. I think spending a little money to tackle this will be worthwhile since the garment reorg was so successful. The great hand knit reorganization of 2017 got stalled out a few weeks ago. The combination of not enough space banged up against "I can't get rid of that I spent too many hours knitting it" and "I know I don't wear it any more"! I kept reminding myself of an organizing rule from an old TV show Clean Sweep. Peter Walsh would tell people they could keep what would fit into a specific space. So I paused and loaded all the questionable knits into laundry baskets while I mulled. It is amazingly hard to let go of garments made with your own hands. It did help as I got the shelves and drawers of my armoire looking good. I really didn't want to stuff things back in. Wow! that's a lot of knitting, but the stacks mean I can see what I've got. Here's summer sweaters with the piles graduated so I can see them properly. I'm still working on the shawls and accessories. You might not get to see a photo when I'm done. That corner of the room is so dark I'm not sure even editing will lighten it up enough. I finally tossed out some of the things which are not in good enough condition to donate. I had some garments which were in very good shape (thank you, tough hard wearing wool) those ones will go off to donation in the very near future. 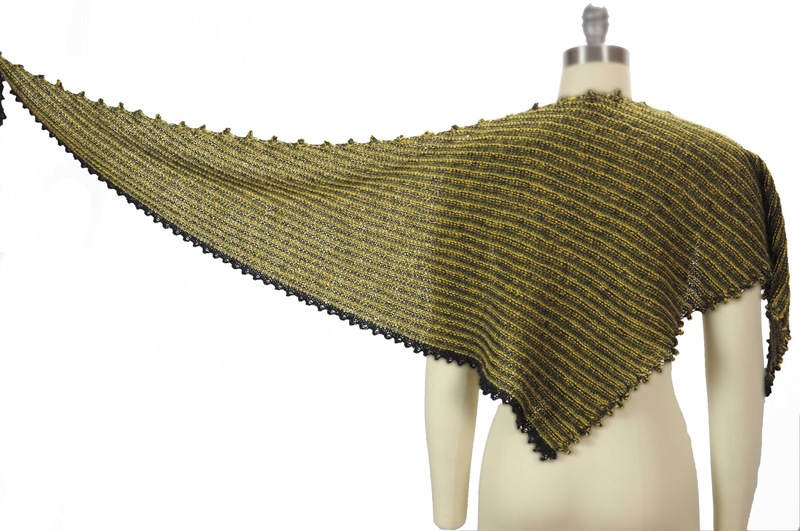 I'm posting a link to two articles because they answer so many of the questions knitters ask about fit. 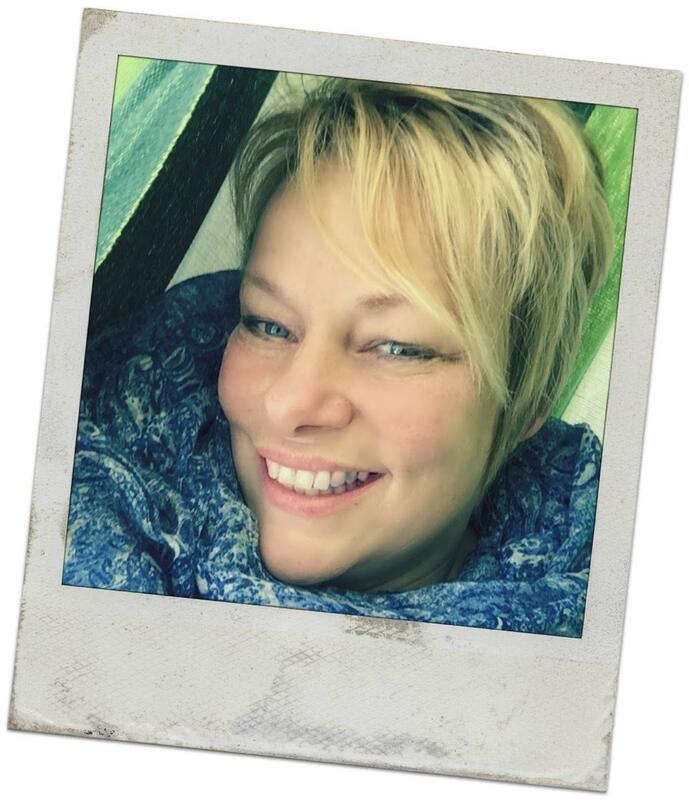 Kathleen mentions that comments on her site have "led me to believe that I still hadn’t done a decent enough job in explaining the parameters of what grading is or isn’t." 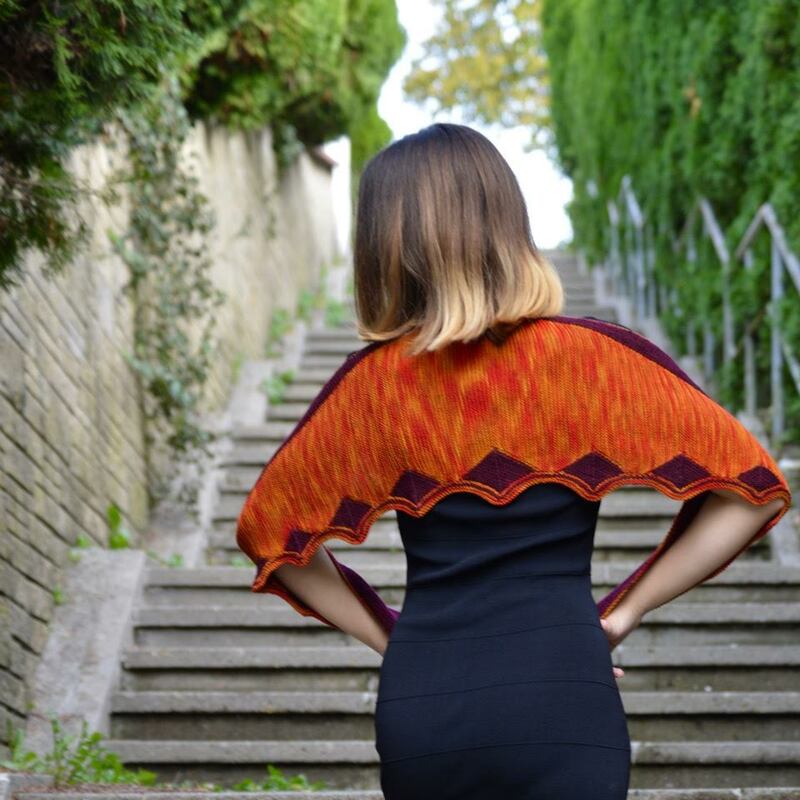 I've had that feeling myself when knitters complain about patterns lacking in size ranges and appropriate fit. I frequently point to retail size ranges and how they are treated separately but knitters confuse the concepts of size and proportion. These concepts are very complex. 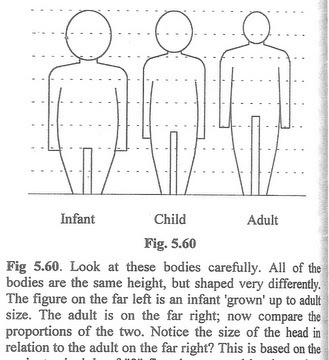 Every teacher I ever had the good fortune to work with, had years of experience with a vast number of various body types. You can read the articles here and here. BTW http://fashion-incubator.com is a wonderful resource I've been following it since it first started publishing in 2005.